BOSTON–(BUSINESS WIRE)–Invaluable, the world’s leading online live auction marketplace, and Profiles in History, the world’s largest auctioneer and dealer of original Hollywood memorabilia, today announced the two companies have partnered to offer online bidding on the upcoming Morris Everett, Jr. The Auction, Part I. The two-day auction, scheduled to take place on June 29 and 30, 2015, will start at 11am PDT on both days of the sale. Bidders can view the entire catalog and place bids online in real-time on Invaluable. Items being offered as part of the sale include one-of-a-kind pieces from the collection of Morris Everett, Jr. including vintage movie lobby cards, posters and collectibles, many of which have been deemed some of the most significant movie promotional pieces ever made. Highlights of the sale include the lobby card from the 1927 silent movie and science-fiction epic Metropolis and the insert poster of Babe Ruth from the 1927 movie Babe Comes Home, both of which are expected to realize $20,000 – $30,000. Additional noteworthy pieces include color lobby cards for Boris Karloff in Frankenstein, The Mummy and The Bride of Frankenstein, all estimated at $10,000 – $15,000. A rare color lobby card for King Kong is expected to realize $6,000 – $8,000, while the title-lobby card from The Wizard of Oz is estimated at the same. A color lobby card for Charlie Chaplin in The Gold Rush is widely considered to be not only the best card in the set, but one of the single most important Chaplin cards from any of his films, and is estimated at $4,000 – $6,000. A color window card for Humphrey Bogart in Casablanca, one of the great Hollywood classics, is expected to realize $4,000 – $6,000, while the complete lobby card set for Gone with the Wind is estimated at $1,500 – $2,500. An extremely rare Marx Brothers lobby card for The Cocoanuts is estimated at $3,000 – $5,000, while The Marx Brothers lobby card for Animal Crackers is estimated at $2,000 – $3,000. A black and white lobby card for The Three Stooges in Horse Collars, estimated at $2,000 – $3,000, is another noteworthy lot, as virtually no original material survives from the earliest years of The Three Stooges films. A color title-lobby card for Stan Laurel and Oliver Hardy in Pardon Us, Laurel and Hardy’s first feature film, is estimated at $1,500 – $2,500 and is considered one of the greatest early Al Hirschfeld caricatures. For more information, to view the catalog for both days of the sale, and to place bids online, please visit www.invaluable.com/profilesinhistory. Invaluable, a leading online live auction marketplace, features a live online bidding platform that allows collectors and dealers to bid in real-time in auctions held around the world. As the leading developer of SaaS and e-commerce applications for the auction industry, Invaluable provides auction houses with e-commerce and marketing solutions, as well as auction management software. Invaluable’s best-in-class historical price database includes more than 58 million complete auction results, totaling more than $204 billion in value. Founded in 1989 and headquartered in Boston, Invaluable also has an office in the United Kingdom. For more information, visit www.Invaluable.com or follow us on Twitter: @InvaluableLive. Founded in 1985 by Joseph Maddalena, Profiles in History is the world’s largest auctioneer & dealer of original Hollywood memorabilia, historical autographs, letters, documents, vintage signed photographs and manuscripts. For more information, visit www.profilesinhistory.com. Metropolis lobby card. 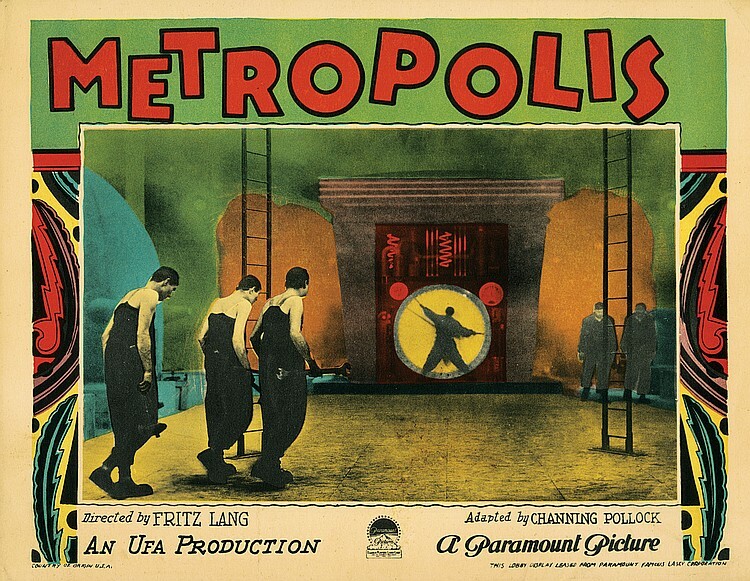 (UFA, 1927) Color lobby card for Metropolis. Thematically one of the best cards in the set, featuring fantastic Paramount color and design. To the best of our knowledge, this is believed to be the only existing example of this card. Virtually unhandled. The original German poster for this film has twice sold privately, for well in excess of 1 million dollars. In very fine condition. Boris Karloff lobby card for Frankenstein. 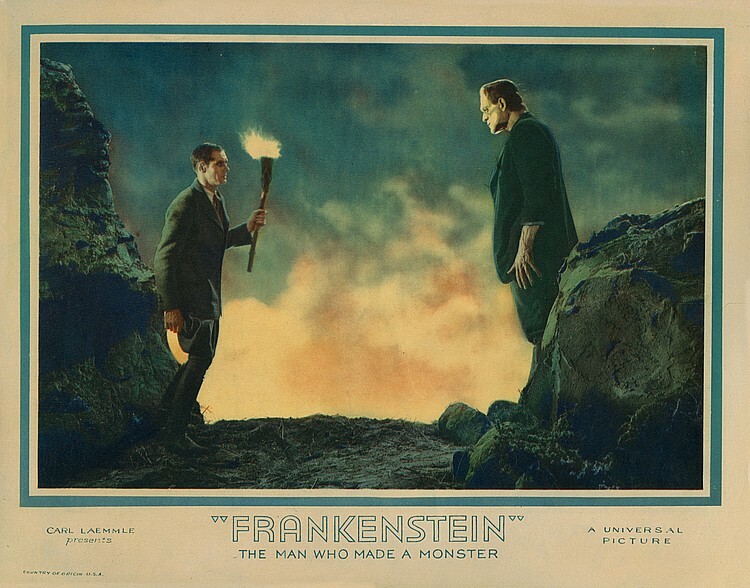 (Universal, 1931) Color lobby card for Boris Karloff in Frankenstein. One of the best cards in the set. Professionally cleaned with marginal repairs. Now presents as fine condition. King Kong Empire State Building lobby card. 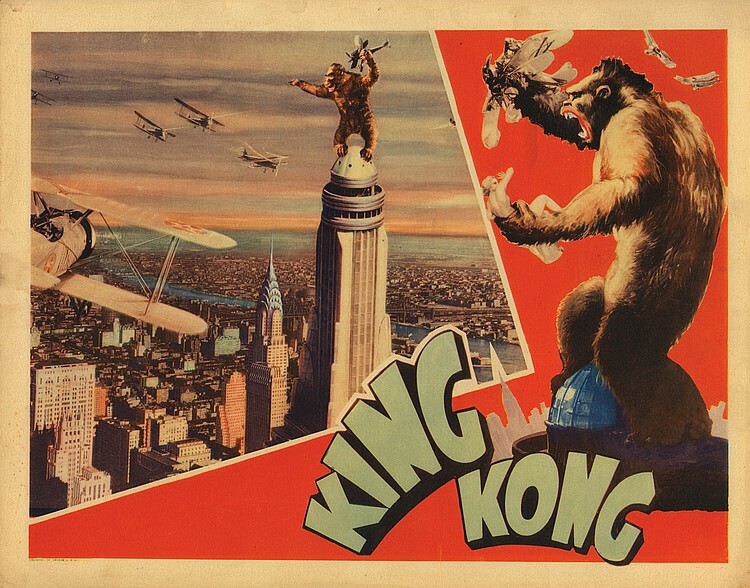 (RKO, 1933) Color lobby card for King Kong. Widely considered the best in the set and one of the most highly desired horror lobby cards in existence. In very fine unrestored condition. The Wizard of Oz title-lobby card. 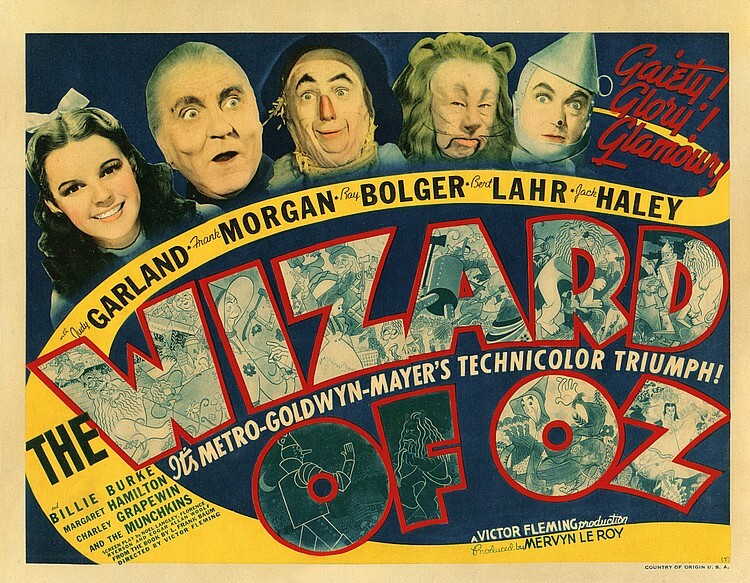 (MGM, 1939) Color title-lobby card for The Wizard of Oz. Moderate retouching to correct corner pinholes and other minor handling. Now presents as very fine.